Burke decided on this year’s Halloween costumes over a month ago and has been absolutely unwavering in his decision since then. 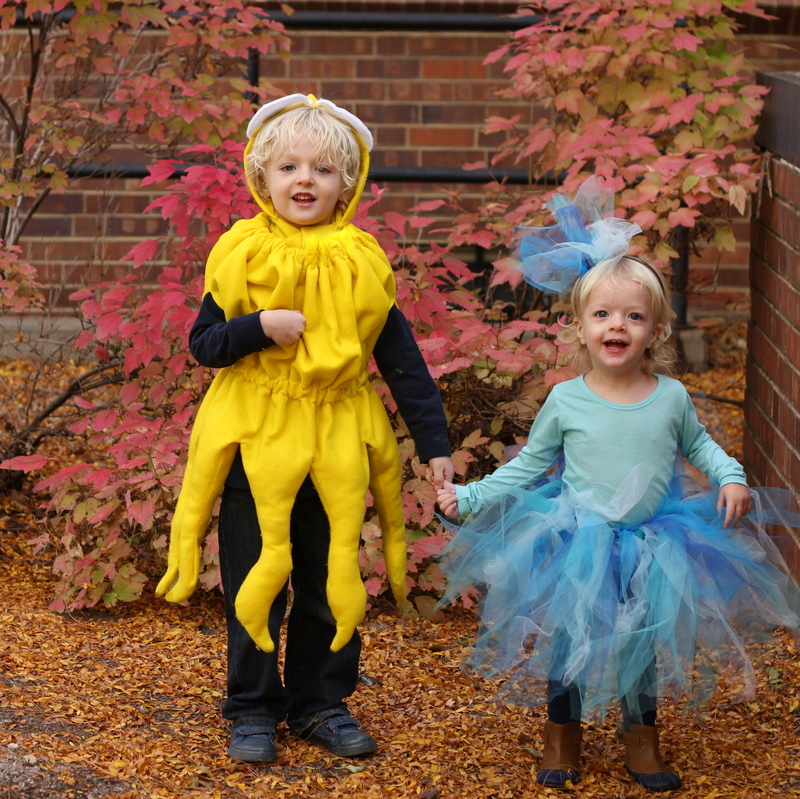 He requested a Squid costume for himself and an accompanying Ocean costume for Piper Jane. We threw out several alternate “Squid pairings” (a fish, a shark, even Ink) to no avail. 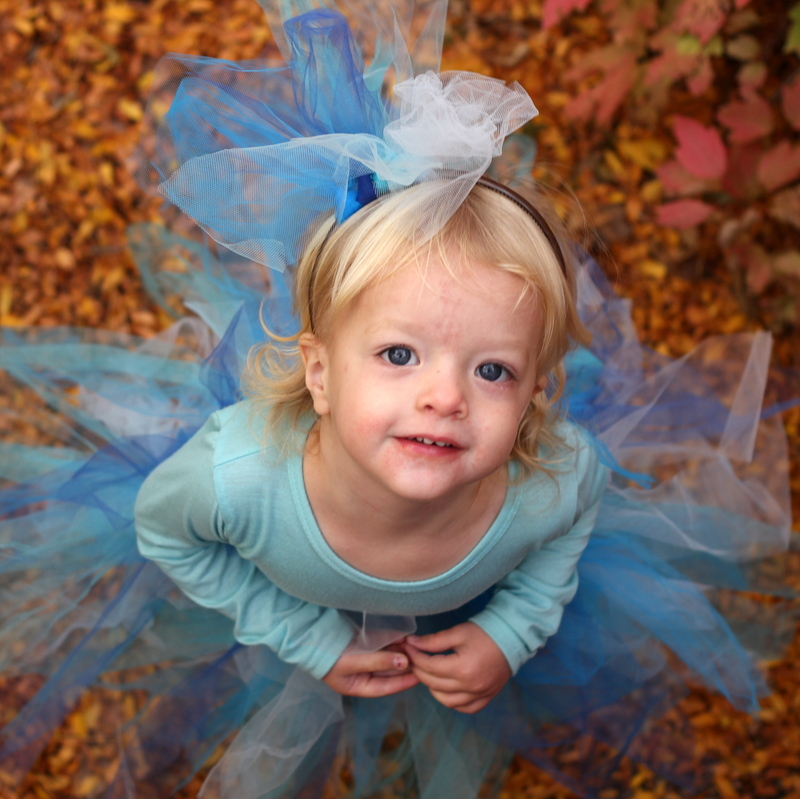 Luckily, my blue tutu/blue headband/blue shirt/blue leggings has been given Burke’s ‘Ocean’ stamp of approval (and Piper’s ‘pretty’ stamp of approval as well- I think she’d wear anything fluffy and princess-like). 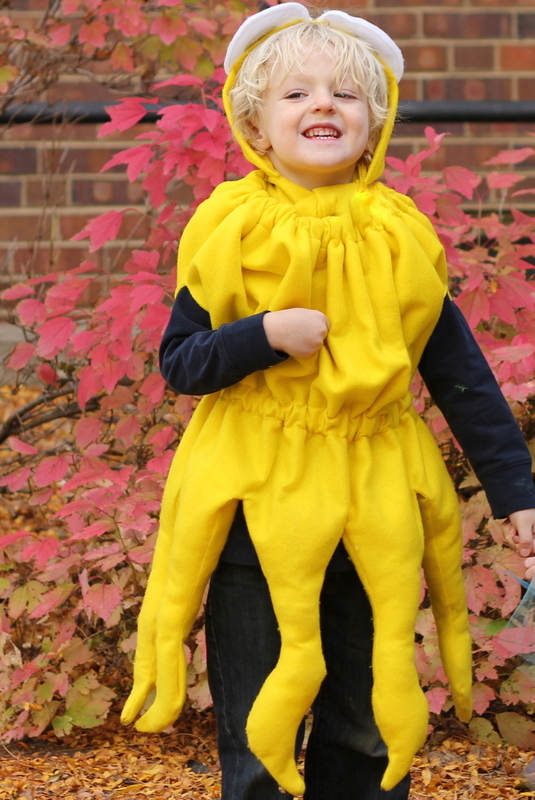 The squid costume was actually far trickier to figure out… but it’s done now and I am glad. Burke loves it (he’s been wearing it for days- a good sign for this mama). While I must admit that I doubted the wisdom of the Squid-and-Ocean idea, I have seen the light. 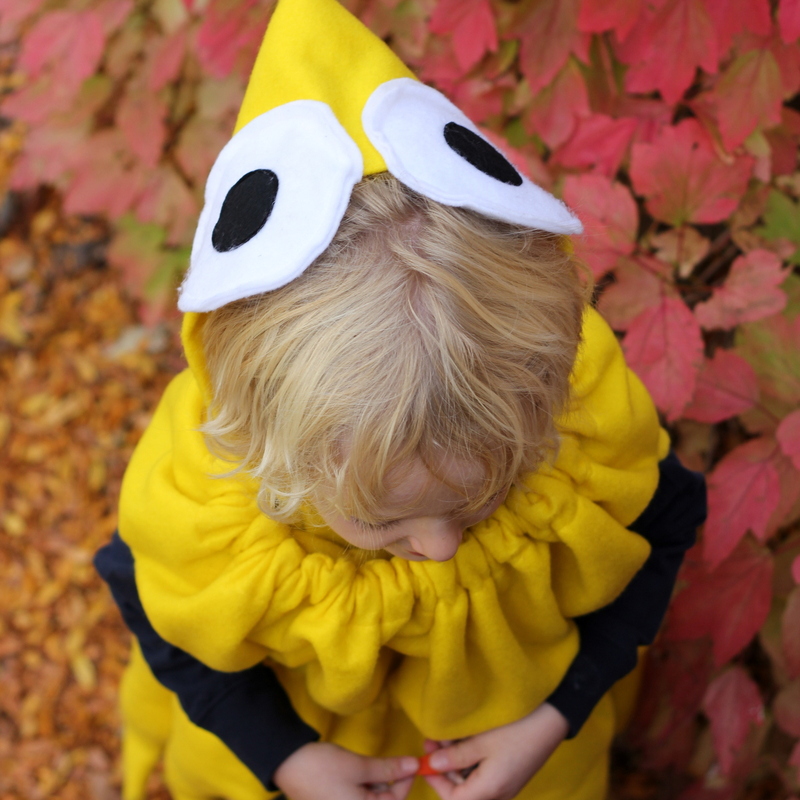 I love the way it turned out; Burke’s a Halloween genius (the man-with-the-yellow-hat-and-Curious-George plan last year was also his idea!). 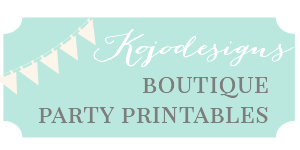 Also, I can’t wait for you to see the Keadryn-dreamed-up costumes that Jord’s family are wearing this year. Hilarious. What are your kiddos going to be this year? a leprechaun, a rainbow and a pot of gold. These costumes are awesome! Good for you for making them! That makes them so wonderful! My 18 month old daughter will be going as Little Red Riding hood this year. I found a vintage paper pattern kit off Etsy! Happy Early Halloween! Katie, how fun! I love that you found a pattern (perhaps there is an octopus/squid one out there as well- I should’ve looked!). 🙂 Happy early Halloween to you too! Kirstin, these are ADORABLE! And Burke is so creative – I’m super impressed that it was his idea. 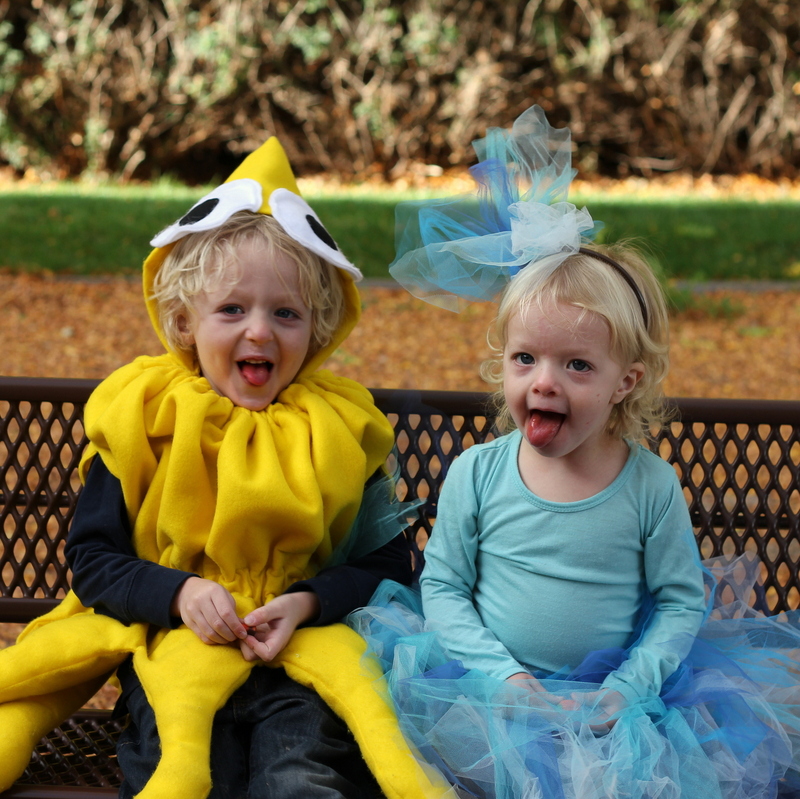 My kids are going as a pirate and a princess this year, but I’m lazy – I bought the costumes! Can’t wait to see your cuties as pirates/princesses! Adorable! 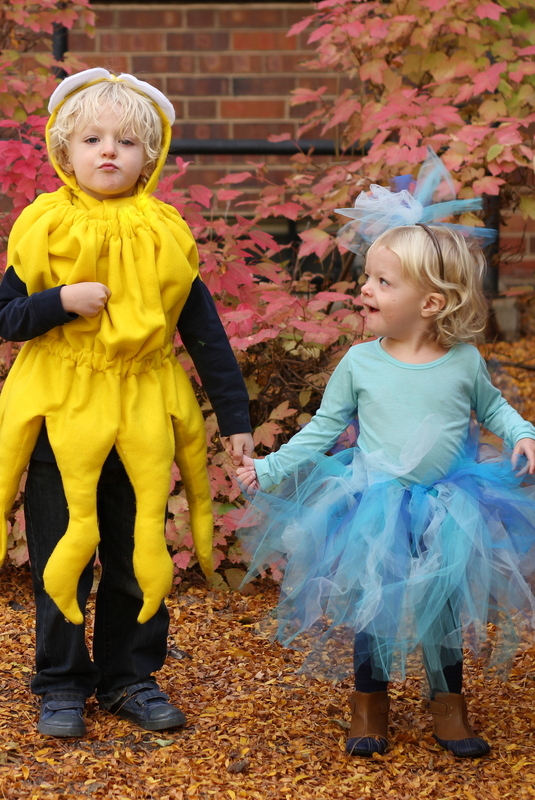 And honestly, how did you even keep a straight face when that cutie requested a squid & ocean? When my little one was 4 months old, we dressed her as a banana. She & her 2 year old (monkey) cousin got quite a few laughs on Halloween. My sister and I thought we were hilarious. This year she’s going as (groan) Elmo. I can already feel people judging me but (1) she is obsessed with Elmo and (2) I’ve been given TWO free costumes to borrow…not much choice there! These are just too cute! The costumes AND the kids. Super job, Mama!